The threat of severe weather and the concern of a significant severe weather event unfolding on Saturday continues to grow. It looks like all the ingredients could come together on Saturday for numerous to widespread strong to severe thunderstorms to develop across portions of the ArkLaTex. 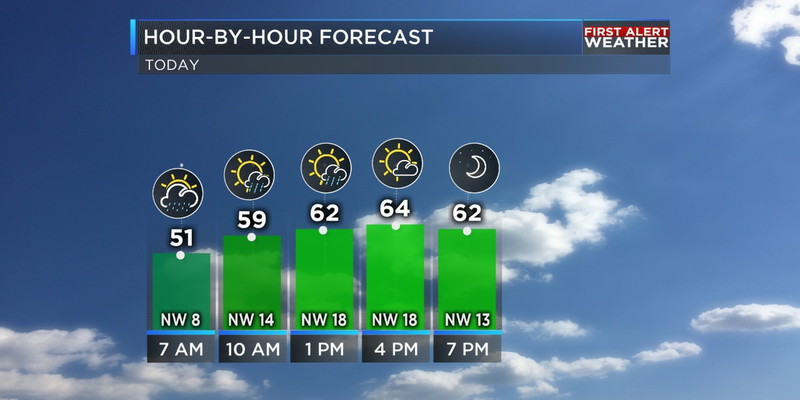 A developing surface low, or storm system, will push a warm front north across the area Saturday morning. This warm front will bring in warm, moist air, which will eventually lead to increasing instability, or storm energy, Saturday afternoon. The greatest instability, or storm energy, will likely remain along and south of I-20 Saturday afternoon. This is where the greatest threat of severe weather could materialize Saturday afternoon. The potential for numerous to widespread severe weather will also hinge on the timing of an upper-level storm system that will swing through on Saturday. The threat of severe weather will stay elevated if the upper-level storm system provides the best lift in the atmosphere during the afternoon, or peak heating of the day. You need lift in the atmosphere to help produce rain and thunderstorms. Saturday’s severe weather outlook shows most of the area south of I-30 will be under an ENHANCED risk of severe weather. 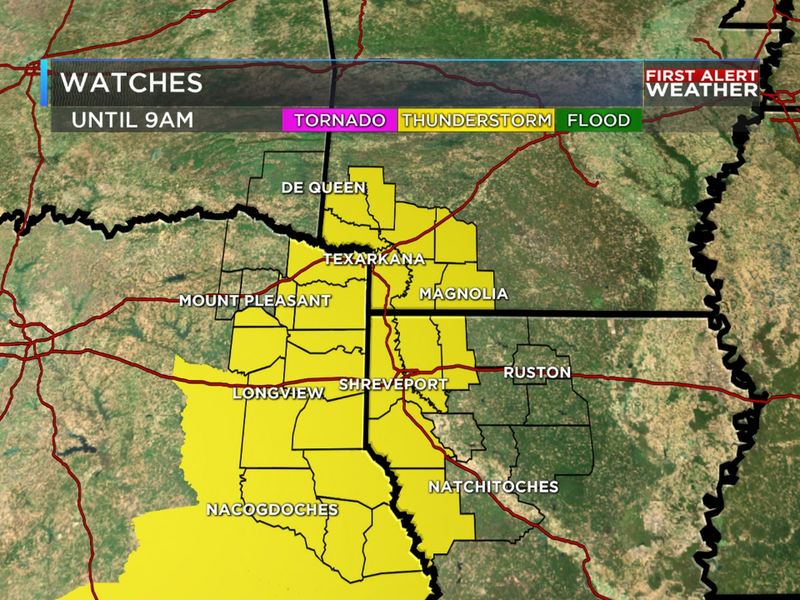 This does include all of northwest Louisiana and most of east Texas and southwest Arkansas south of I-30. This is the area where the threat of severe weather will likely be the greatest on Saturday. There is a SLIGHT risk of severe weather for most places along and north of I-30. The reason why the threat of severe weather is lower for the northern tip of the ArkLaTex is because the instability, or storm energy, in atmosphere may not build that far north. An ENHANCED risk of severe weather is 3 out of 5 on our severe weather scale. An ENHANCED risk means this there is a 30% probability of severe weather happening within 25 miles of point. This typically means numerous strong to severe storms will be possible. There will also be the potential for a few intense thunderstorms. All modes of severe weather will possible on Saturday: large hail, damaging winds and tornadoes. Right now, the threat of damaging winds and tornadoes will likely be a little higher than the large hail threat. On Saturday, a line of strong to severe thunderstorms will likely develop along a cold front as it pushes from west to east across the area. The strongest storms within this line of storms will pose a threat of severe weather. However, we could also see individual thunderstorms develop ahead of the main line of storms. These are the storms we are going to have to watch very closely because they will likely pose the greatest tornado threat. Heavy rainfall and flooding will also be possible. Widespread rainfall totals will range from 1-3″ of rain. 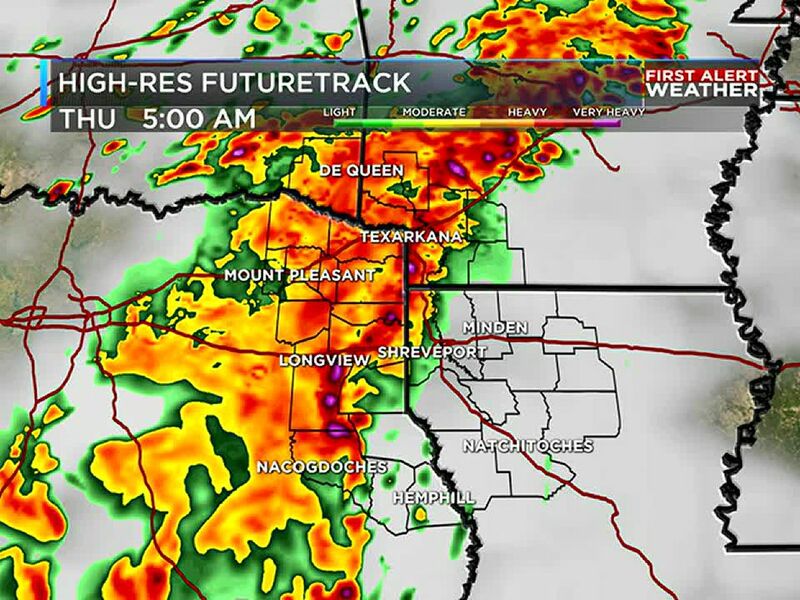 Isolated rainfall totals of 4″ of rain will be possible. Most of the area will be under a SLIGHT risk of excessive rainfall on Saturday. Right now, it’s still too early to know the exact timing of the strongest storms on Saturday. However, the threat of severe weather will likely start to increase late Saturday morning and continue through Saturday afternoon. The threat of severe weather will likely end Saturday evening from west to east across the area. If you have outdoor plans on Saturday make sure you know where you are going to go if severe weather impacts your area. Everyone needs to make sure they remain weather aware on Saturday. Now is the time to prepare.